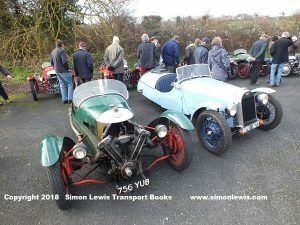 On New Years Day, if you drove through Herefordshire , from Ledbury towards the Cider-brewing haven of Much Marcle, you might have thought that over-undulging at Christmas was leading to halucinations, for there, parked on the verges were an amazing ad hoc display of classis & vintage cars: MG T types, A Bristol 406, Lenham Healey Sprite, MGBs , Daimler Conquest and even an Austin 1800 ‘Land Crab’ (when did you last see one of those?). 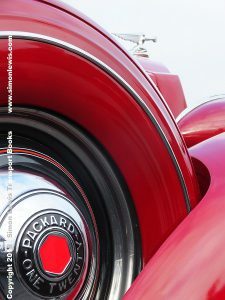 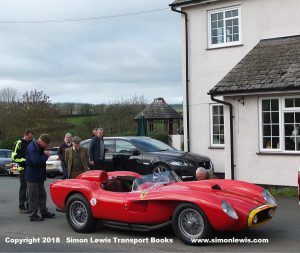 But then , right outside the Royal Oak pub , nothing less than a 1957 Ferrari Testa Rossa! 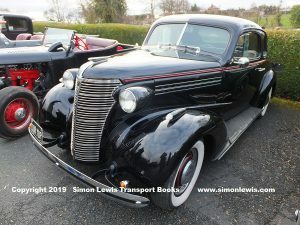 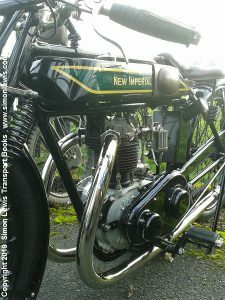 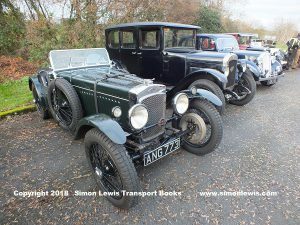 In the pub car park it was another world – the pre war machinery was gathered and efficiently marshalled into place by George Shetliffe, Mark Gar fitt and the team. 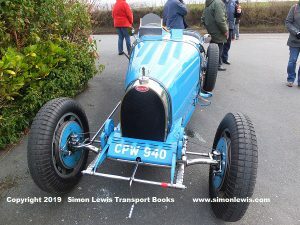 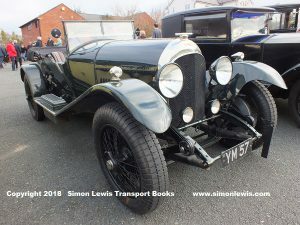 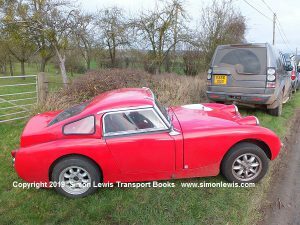 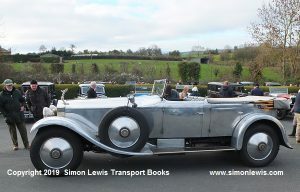 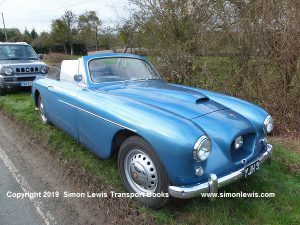 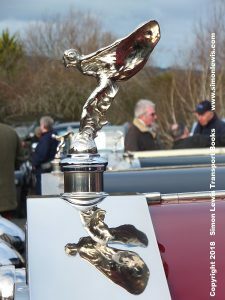 If you started walking from the sign post you passed : Bugatti T35B, Salmson, 3 Litre, 4.5 litre and Derby Bentleys, half a dozen Rolls-Royces, several Alvis’, Lagondas, a Vauxhall 30-98, Riley Sprite, Wolsley Hornet, a Donnet , Rover 14, GN, Frazer Nash, Austin 12/6, Talbot 90, Bullnose Morris, MG TA, more three-wheeled Morgans than you could shake a stick at, a wooden wheeled Dodge Business Coupe, a spectacular Packard One-Twenty, Ford Model A Hot Rod, BMW 319 , Several Sunbeams, a Delahaye 135S, Lea Francis, side valve Amilcar, probably a dozen assorted Austin 7s (no two the same), MG Saloon, a Chevrlet three-window coupe that should have had Humphrey Bogart at the wheel and that’s before we get to the motorcycles : New Imperial, Moto Guzzi, Norton, Triumph, BSA and so the list goes on. 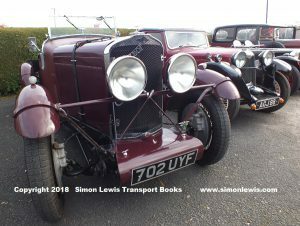 It all appeared,parked up neatly, everyone gt out and chatted to their neighbours and the hundreds of visitors who had left cars parked on the road side for half a mile, more than one passenger visited the bar and then an hour or so later everyone started drifting off home for tea. 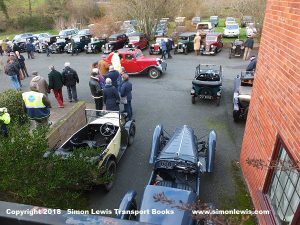 What could be nicer on a New Year’s Day?